The award is presented at the Annual Council Meeting each year and consists of a framed certificate and a certificate towards attending a GSCCC sponsored summer camp. To qualify for the award, a girl must be nominated by the girls in her troop, group or service unit or by an adult who is aware of her qualifications. As girls decide on their nominee, help them understand this is more than a popularity contest. Nominators should see the Girl Scout nominee as a person who has an awareness of herself as a unique person of worth; relates to others with sensitivity and respect for their needs, feelings, and contributions; has developed values that give meaning and direction to her life; and uses her skills and talents to serve the community in some way. The nomination form and detailed information on requirements can be found here. Receive a discount of 20 percent off all merchandise*. *While supplies last. In-stock merchandise only. Training is required for all service unit Delegates and Alternate Delegates to prepare for their role as voting members of the Girl Scout Council of the Colonial Coast. The training will include an explanation of the delegate job description, information on topics that will be voted on at Annual Council Meeting, an overview of Robert's Rules of Order, and a State of the Council report. For questions, contact Cheryl McGrenra at cherylm@gsccc.org or 757-410-0595. All volunteers do wonderful things, and many go above and beyond the expectations of their position. Take time to recognize these outstanding individuals by nominating them for a GSUSA national award. The deadline for nominations for the Thanks Badge (I and II), Honor Pin and Appreciation Pin is December 1, 2015 for volunteer service in the 2014-2015 membership year. These awards will be presented at the Annual Award Luncheon following the Annual Council Meeting on Saturday, February 6 at the Chesapeake Convention Center. For questions, contact the Volunteer Services Department at volunteer@gsccc.org. Please note that a valid email address is required for a girl to participate in the online program called Digital Cookie. All GSCCC offices and retail shops will be closed for the Thanksgiving holiday from Wednesday, November 25 through Friday, November 27. All GSCCC offices and the Newport News retail shop will reopen on Monday, November 30. The Chesapeake retail shop will be open 11 a.m.-2 p.m. on Saturday, November 28. Everyone is invited to attend the adult learning event in Chesapeake. Attend Girl Scout Program Basics free of charge or attend one of the enrichment classes free of charge. Bring a bagged lunch and have the opportunity to network with other volunteers. See the flier on our website for more information and register today. The Tidewater Community College (TCC) Educational Foundation in coordination with the Women's Center invites you to "In a Heartbeat: Military Women WWII to Present," a Therese Hughes photo exhibit dedicated to female veterans celebrating leadership, community and philanthropy. Hughes is using her camera to tell the story of women in the military with 98 black and white photos of 113 veterans as a tribute to their honor, sacrifice, commitment and dedication. Ashdon Farms, one of two companies licensed by Girl Scouts of the USA to produce Girl Scout-branded nuts and chocolates, has informed us that the Honey Mustard Pretzel Mix sold on or before November 15, 2015 is being recalled. While whey is listed in the ingredients statement, milk is not declared in the contains statement on the product label. Those who are allergic to milk should not consume this product. Distribution of the product should be discontinued at this time until new product arrives for replacement. Girl Scouts of the Colonial Coast has alerted area Girl Scout troops involved in the fall product sale of this issue and asked that the distribution of the product be discontinued. There have been no reports of illness or injury associated with this product. Troop leaders and product sale volunteers may accept unopened Honey Mustard Pretzel Mix products from customers and replace them with new ones. We anticipate new products arriving to the cupboards on Friday; however, we recommend calling and checking prior to picking up new product inventory. Milk allergic consumers who have purchased the product may contact Ashdon Farms at 800-274-3666 for substitution with a non-milk containing product. For volunteers and parents involved in the GSCCC Fall Product Program, please provide this information to those customers who purchased Honey Mustard Pretzel Mix on or before November 15. If you have questions, email fallproducts@gsccc.org. It’s not too late to join in the fun of the 2015-16 Fall Product Program. Contact the GSCCC Product Sales team at fallproducts@gsccc.org to learn more on how to join the fun or how to buy yummy treats or purchase magazines. This course will prepare volunteers to introduce girls to outside adventures. Emphasis is on knowledge of outdoor skills: meal planning and preparation (involving actual cooking/clean-up), use of kaper charts, propane stoves, knot tying, knife safety and protection of the natural world. Allows adult volunteers to take girls camping in a cabin or other walled structure. This overnight session is designed to prepare volunteers with the skills and knowledge to accompany the girls on a camping trip. Emphasis is on site set-up (tent and kitchen fly set-up and dishwashing), group cooking safety and program resources. Camp fire program, ecology and night activities will also be introduced. Fort Monroe National Monument is looking for input from the public. As Fort Monroe anticipates the transfer of the northern portion of the North Beach district from the Department of the Army to the National Park Service, they are hosting two public listening sessions for input about past, current and potential future visitor uses in the North Beach area of the park. This includes input from our Girl Scouts—the future civic leaders. 1 p.m. or 7 p.m. Girls who are traveling on approved Girl Scout travel opportunities are eligible to participate in the Annual Council Meeting silent auction. Review the Annual Council Meeting silent auction guidelines for participation requirements. Applications are due to your community travel pathway consultant by December 6, 2015. Any girl participating in an approved extended travel opportunity can participate in the silent auction fundraiser. The award is presented at the Annual Council Meeting each year and consists of a framed certificate and a certificate towards attending a GSCCC sponsored summer camp. To qualify for the award, a girl must be nominated by the girls in her troop, group or service unit or by an adult who is aware of her qualifications. As girls decide on their nominee, help them understand this is more than a popularity contest. We are pleased to announce a new discount program available with Office Depot/OfficeMax. This partnership provides Girl Scout members with deeply discounted prices on printing services and supplies. Discounts apply at all Office Depot/OfficeMaxlocations...and you can even register for online savings by visiting the website www.officedepot.help/girlscouts. Online orders over $50 ship for free. It is easy to begin saving. Simply click here and print your discount card (the store will laminate for free). Lose your card?, no worries, just print a new one. Please share this information with all your volunteers. If you have any questions, please contact hr@gsccc.org. For a chance to be featured on the Fall 2016 Activity Poster click here. Girls will need to answer the question on the form and submit it by November 25, 2015 to be considered. Final decisions will be made by mid-December. Girls selected will be asked to provide a high-resolution JPG head shot, preferably with her Girl Scout uniform. Here is an image of the Fall 2015 poster as an example of how girls would be featured on the Fall 2016 poster. 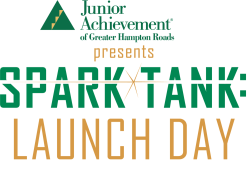 A surprise VIP from the Hampton Roads business community will speak about how entrepreneurship launches futures. Color Me Mine Ornament Paint Party! Girl Scouts and leaders are invited to join Color Me Mine for an Ornament Paint Party. Come to one event or come to them all! Note: We will be using acrylic paints that may stain clothing or skin. “Needles and Cones” tree program, holiday story ages 3–6. Each paid participant will take home their own holiday decoration. New for 2015: if you can’t come to us, we can come to you. Nauticus is interested in starting a remote operated vessel (ROV) team within Girl Scouts. At this time, they are looking for 2-3 volunteers willing to commit to work with the girls. Adults should have an engineering background, ability to use tools, and building knowledge. This training will give more details and some hands on experience. This commitment will start in January and end on April 30, 2016, when the competition is held at ODU Recreation and Wellness Center. 160 E Virginia Beach Blvd. Student tickets are $10 and adult tickets are $25. 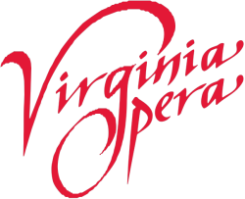 Contact Robert Cinnante at 757-213-4550 for more information and to obtain a reservation form. The Pillowcase Project: Learn. Practice. Share. The Pillowcase Project was created by the American Red Cross following Hurricane Katrina in 2005. The Pillowcase Project became a preparedness education program for elementary school students, and in just a few years was adapted and implemented by several other Red Cross chapters with substantial success. 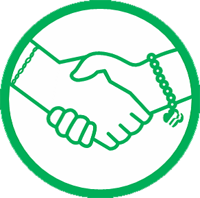 Training is required for all service unit Delegate Chairs and Delegates/Alternate Delegates to prepare for their role as voting members of the Girl Scout Council of the Colonial Coast. The training will include an explanation of the delegate job description, information on topics that will be voted on at Annual Council Meeting, an overview of Robert's Rules of Order, and a State of the Council report. Girl Scout troops and groups are invited to take part in a holiday gift wrapping station at Barnes & Noble in MacArthur Mall in Norfolk. The program starts on November 27 and runs every weekend (Friday/Saturday/Sunday) through December 20, and on the weekdays of December 21 through 24. Shifts are available in 3-4 hour blocks of time. The staff at Barnes & Noble will provide all supplies, including gift wrap, tape, ribbons, scissors and a donation box. For more information, contact Lindsey Rowe, Operations Manager at TCC Barnes & Noble, at lrowe@bncollege.com or 757-625-3459, Ext. 112. 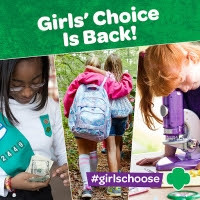 Girls’ Choice badges are back, and we’re SO excited. This year, girls get to vote for one of three awesome badge categories, and they’ll also get to select a badge topic of their choice. From now through November 15, girls can vote for their favorite category. What will it be? Outdoors, STEM, or Financial Literacy? Stay tuned for info and dates around the design poll where girls will have a chance to vote on the design of this new badge. For now, we encourage you to empower every Girl Scout you know to vote, vote, vote! We need every adult to help girls make sure their voices are heard, and encourage them to take advantage of the opportunity to create their very own Girl Scout experience. The time to vote is now. What if you could make a positive impact in the lives of girls simply with the click of a button or even while you shop for the holidays? Well it's just that easy. The AmazonSmile Foundation will donate a percentage of the purchase price from your eligible AmazonSmile purchases to the Girl Scouts of the Colonial Coast. Be a part of the movement: get your shop on and spread the word! Girl Scout Program Basics: 3–6 p.m.
PB&J (Proficiency Badges and Journeys): 3–6 p.m. This course will prepare volunteers to introduce girls to outside adventures. Emphasis is on knowledge of outdoor skills: meal planning and preparation (involving actual cooking/clean-up), use of kaper charts, propane stoves, knot tying, knife safety and protection of the natural world. Course allows adult volunteers to take girls camping in a cabin or other walled structure. Due to the recent weather cancellation of the Norfolk Arbor Day Celebration, October 3, 2015, The Norfolk Tree Commission invites troops for a fun filled morning at Lafayette Park on November 7, 2015. Led by the City of Norfolk City Forester, Michael Nentwich, and World famous Arborist, Marcus E. Jones, we are planning a Tree Trail Trek throughout the park, where the Girl Scouts will have the opportunity to show off what they have learned to earn 1st, 2nd, and 3rd prize hand-made tree medals. Foundation docents provide free VIP Tours of the historic Battlefield Park. Docent tours focus on explaining the history and crucial details surrounding the Battle of Great Bridge and the history of the waterways of the region. Tours are free and can be for any size group. For additional information visit gbbattlefield.org or contact cindy@gbbattlefield.org. 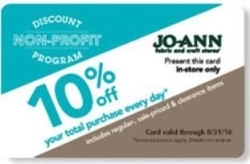 Enroll in the Jo-Ann Non-Profit Discount Program and save 10 percent on every purchase! Girl Scout volunteers qualify for Jo-Ann Non-Profit membership status. As a Jo-Ann Non-Profit member, you'll save 10 percent on every total purchase, including regular- and sale-priced items at any Jo-Ann store. Join Mickey Mouse and friends for an amazing fantasy adventure with Snow White, Cinderella, and Belle when Disney Live! 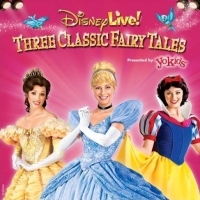 Presents Three Classic Fairy Tales presented by Stonyfield YoKids. Organic Yogurt. Get your group tickets today by calling 757-683-7087. Tickets are also available online at ynottix.com. Use special Girl Scout code: SGSCOUT. Registration and Networking: 9 – 9:45 a.m.
For more information about the Annual Council Meeting and Awards Luncheon or to register, click here. Please select Annual Meeting, Awards Luncheon, or Annual Meeting and Awards Luncheon. Free Being Me – Free Patch Program! Through a partnership with Dove and the World Association of Girl Guides and Girl Scouts (WAGGGS), Girl Scouts of the USA has launched Free Being Me, a global leadership program developed to give girls ages 7–14 a safe space to strengthen their self-confidence. Free Being Me will help girls understand from a global perspective that a greater diversity of beauty exists and give them opportunities to take action to promote this diversity locally and globally.